The New Museum presents the first large-scale, American museum exhibition of the artist Klara Lidén, featuring a selection of works in the Museum’s second floor gallery. 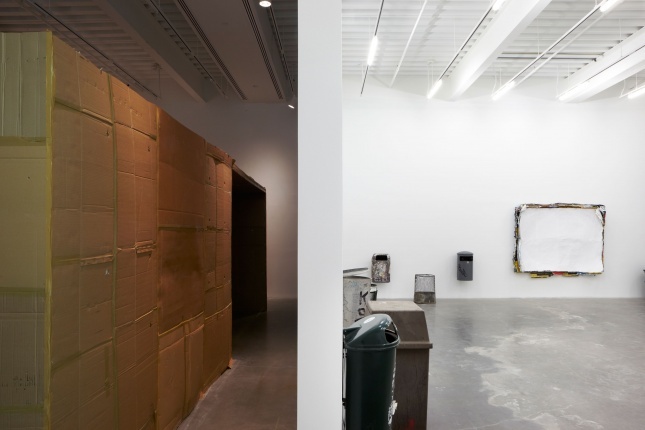 Lidén’s exhibition at the New Museum is part of a series of focus shows that began last May with presentations by Apichatpong Weerasethakul and Gustav Metzger. In her practice, Lidén regularly mines the anxieties of urban space to create ingenious and psychologically charged installations. She scavenges the streets of cities around the world for discarded materials, which she uses to build sculptural hideaways, scaled to her own body, in unexpected places. 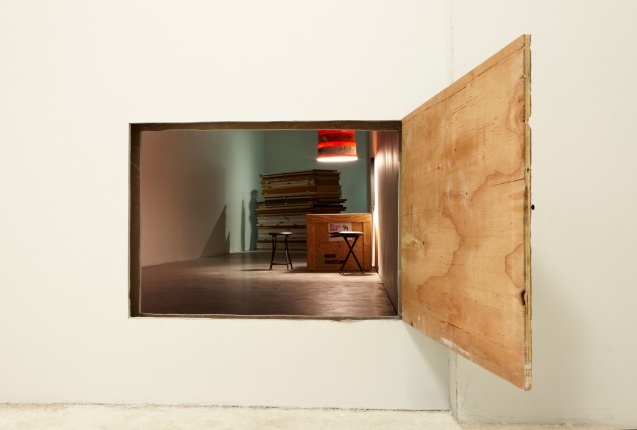 Following in the tradition of urban alchemists like Gordon Matta-Clark, Lidén uses her body as a tool and a weapon to radically alter the space of the museum and expose it to the material and political realities of the world outside. Lidén consistently engages with the folds and fabrics of cities she passes through, adapting public space to her own needs in the creation of surprisingly intimate, domesticated environments. 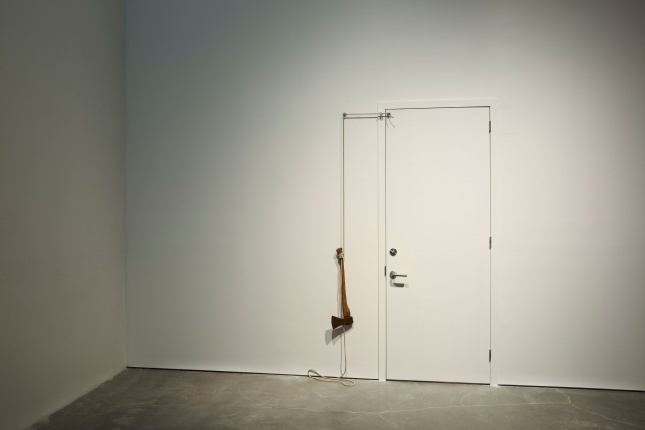 This vision of the artist as a subversive creator is highlighted in her work Elda för Kråkorna (2008), where Lidén closed off a portion of a New York gallery and opened the space to pigeons flying in from the street. The viewer was denied access while it was instead offered to the birds. For her show at the New Museum, Lidén has created a progression of spaces that culminate in a site-specific work intervening in the Museum’s architecture and creating a place physically and psychologically apart. Her work demonstrates how an individual can navigate a constantly transforming urban landscape and carve out spaces of creativity to imagine new ways of living. This exhibition also features a number of Lidén’s videos realized over the past decade. She has performed impromptu acrobatic routines in a Stockholm subway car in Paralyzed (2003) and moonwalked her way through the streets of Manhattan at night in The Myth of Progress–Moonwalk (2008), which premiered in the New Museum exhibition “After Nature,” (2008) and marked Lidén’s first New York museum presentation. In these works, Lidén moves alone through urban settings gliding at a rhythm separate from the world around her. Also included are Lidén’s Untitled (Poster Paintings) (2007–10)—minimal objects composed of layers of stolen advertising posters excised by the artist directly from city streets. Finished with a top layer of white paint, the works archive the advertisements that punctuate urban life and encourage viewers to adapt, respond to, and erase these ever encroaching corporate images. Klara Lidén was born in 1979 in Stockholm, Sweden. She attended the School of Architecture at the Royal School of Technology in Stockholm from 2000 to 2004; the Berlin University of the Arts in Berlin, Germany, in 2003; and the University College of Arts, Crafts and Design in Stockholm from 2004 to 2007. 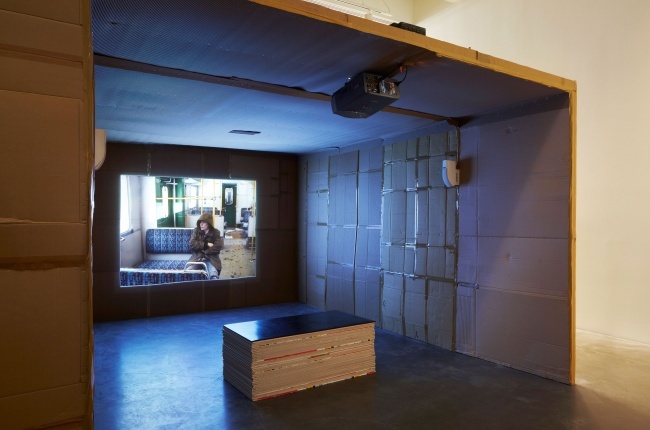 Lidén has been the subject of numerous solo presentations in Europe, including major exhibitions at the Serpentine Gallery, London, and the Moderna Museet, Stockholm. In 2009, Lidén’s work was presented as part of an exhibition in the Danish and Nordic Pavilions at the 53rd International Art Exhibition of the Venice Biennale and she received a special mention from the jury of the 54th Venice Biennale. Her work resides in the collections of the Museum of Modern Art, New York; Moderna Museet, Stockholm; and the Astrup Fearnley Museet for Moderne Kunst, Oslo, Norway; among others. Lidén currently lives and works in Berlin and New York City. 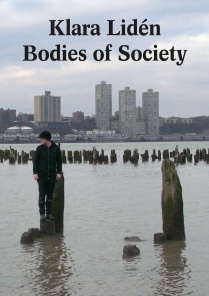 “Klara Lidén: Bodies of Society” is curated by Massimiliano Gioni, Associate Director and Director of Exhibitions, and Jenny Moore, Associate Curator. “Klara Lidén: Bodies of Society” is made possible by the generosity of the Leadership Council of the New Museum and by the Toby Devan Lewis Emerging Artists Exhibitions Fund. Additional support is provided by James-Keith Brown and Eric Diefenbach, Carlo Bronzini Vender, and the Consulate General of Sweden in New York. Support for the accompanying publication is provided by the Barbara Lee Family Foundation, and the J. McSweeney and G. Mills Publications Fund at the New Museum.